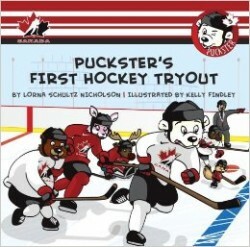 Puckster and his pals are trying out for a special team that gets to play one game against the Russia Tigers. This special game is going to be on television too! But not everyone prepares properly for the tryout. Who makes the team? And who doesn’t?